Inhale the oils for colds, respiratory ailments, or for facial steam baths. home for unwanted smells or for MOLD removal! - Apply directly to your skin. Dilute oils if necessary. - When trying new oils, always test them on a small area of your skin. Learn how to protect your children from germs in the classroom- view video below! 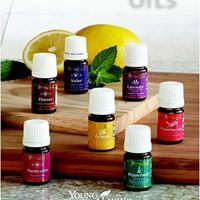 Many people have shared their stories as to what they experienced with Young Living essential oils .